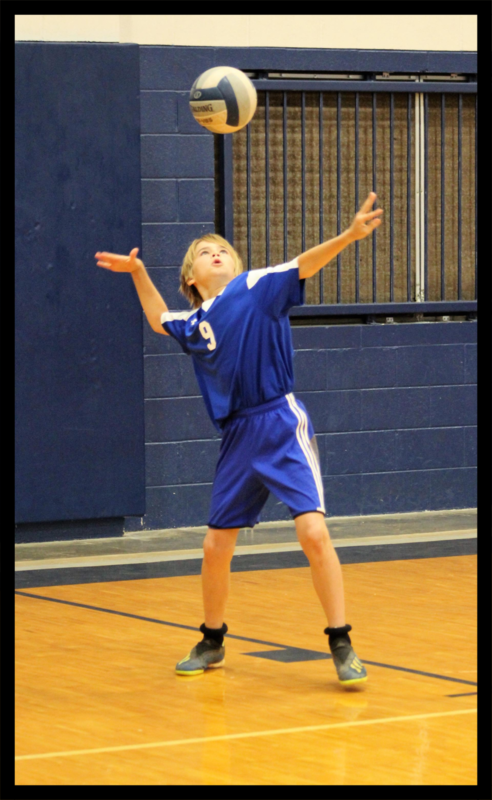 Our spring sports are just starting up. Please be sure to check in weekly to this bulletin to stay up to date with details and changes. If you see any of our swimmers, please be sure to wish them luck in the State Championships starting this Friday! Water polo begins Monday, February 4th! Try outs are from Feb. 4th - 13th (if needed, as always). An informational meeting is on Friday, February 8th @ 5:00pm in the classroom across from the pool. Spring Break is March 25th - 29th when we have (2) Varsity II games. Please let me know ASAP if you have any trips planned during the break. Please pass this email on to any and all who are interested. My cell is 808-292-3218, because I am terrible with email, please text me if you need anything. Le Jardin has had two contests this season, the first at Makaha Beach just before Christmas Break, and the second at Sandy Beach last weekend. 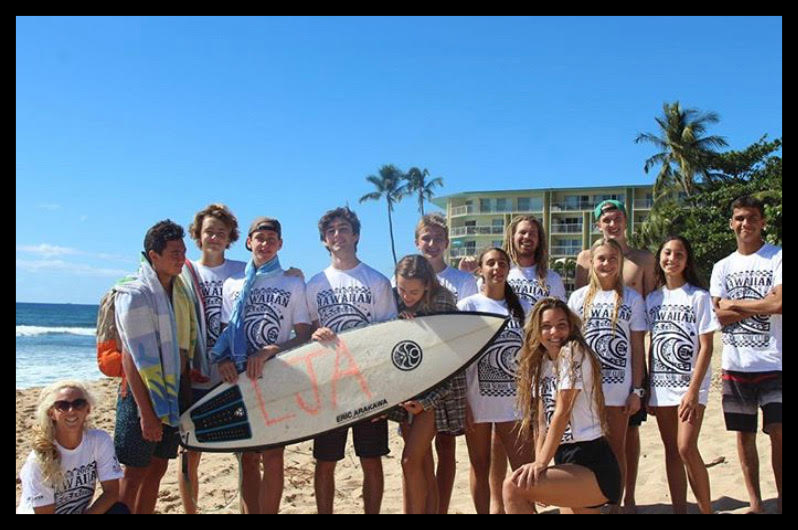 LJA won overall against 'Iolani in last weekend's contest at Full Point, Sandy Beach. 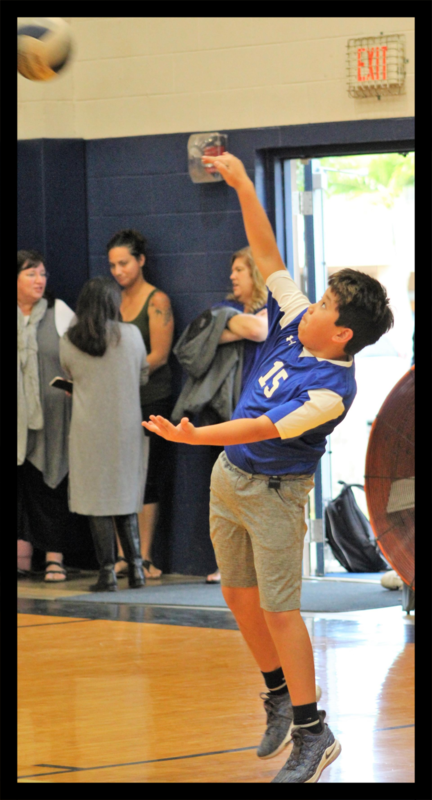 We fell short at Makaha against the reigning high school champs, Kamehameha Schools, however we brought out best, surfed with Aloha, learned from the competition, and we have progressed! Please congratulate all the surf team members on our recent win when you see them on campus!! Lastly, Please ask Coach Kyle or Coach Krog if you want a team shirt! Next Contest is scheduled for March 2nd at Maili Point! -- If you are interested in participating in a PAC 5 sport, please send the athletic department an email so that we can clear you. Good luck to all of our varsity athletes competing in this weekend's state championships at the Veterans Memorial Aquatic Center, starting Friday at 1:30pm! Offseason running with coach Jenny Helman is Mondays and Wednesdays from 5-6pm. 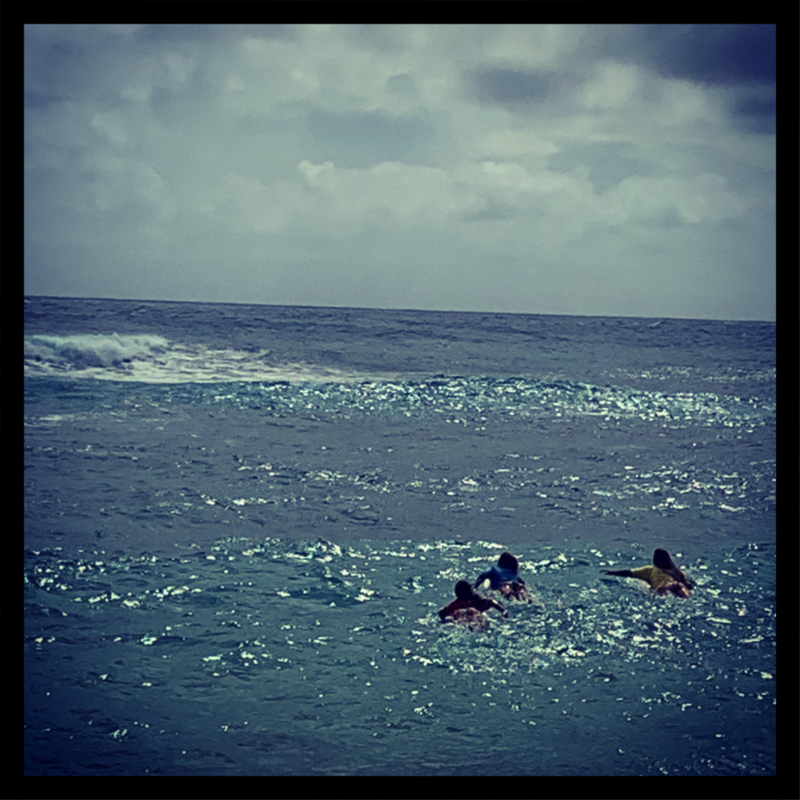 Meet at Kailua Beach Park near the canal. Parents are welcome too! We will start our first practice on Feb. 14th at Bay View golf course. Right now I am planning on having practice on Tuesday's at Mid-Pacific Golf Club and Thursday and Friday at Bay View Golf Course. We might put Olomana Golf Course in there at some point also. My thought right now is to play Tuesdays and Fridays and to work on the driving range and putting green on Thursdays. I am planning on having our Intermediate and Varsity teams practice together. I will have some great help with the teams this year. Patrick Boyce is my top assistant again this year. He's an excellent golfer and just great with the kids. Brett Fillmore will be helping out when he can also. He coached the Paddling team but also grew up playing golf and will be a great help. During the tournaments Dante Sbarbaro's dad Chris will help us out with players spread out on the course, as he did last year. We will have our first meeting at the gym, followed by a swim test at the pool, on Feb. 8th, please bring your bathing suits. We welcome students who are new and looking to try sailing. Practices will be held twice a week at Kaneohe Yacht club. Please keep in mind if you're interested in lifting in the school weight room to check in with Coach Dave Cosier, the school strength and conditioning coach. The weight room is open for LJA students to lift on their own, or with Coach Dave everyday from 3:30pm-5:30pm or 6am-7am on Tuesdays and Thursdays. In order to workout, a liability form (which can be found in the athletics office) needs to be completed. If you're interested in learning more, please email Coach Dave Cosier, kawika96734@yahoo.com for more information. Students are not permitted in the weight room unsupervised at any time for safety reasons. Off season is the best time for athletes to start a training regiment. The body takes time to gain muscle and get into shape so planning ahead is necessary. Congratulations to our varsity basketball team on completing their regular season schedule. 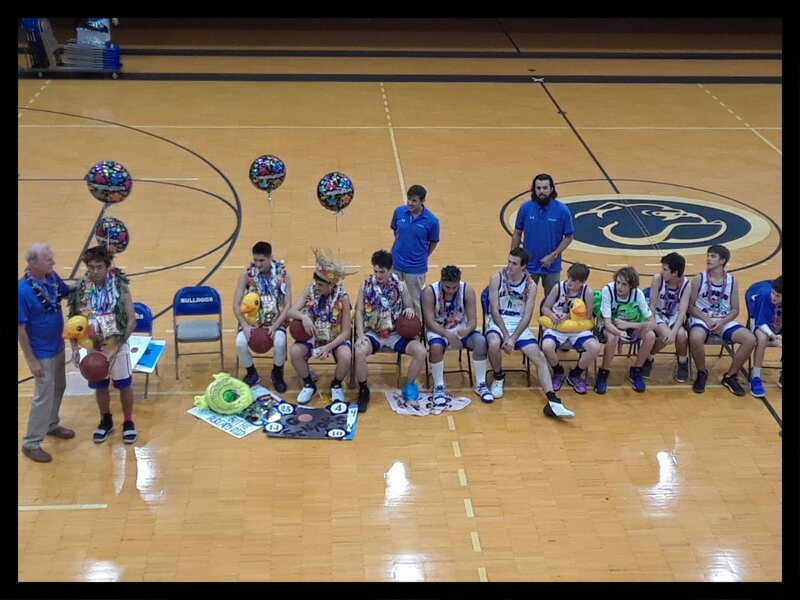 There were four seniors on the team who we wish the best of luck to in the future; Jared Miyatake, Dylan Awana, Luciano Oliva and J Pahlmeyer. 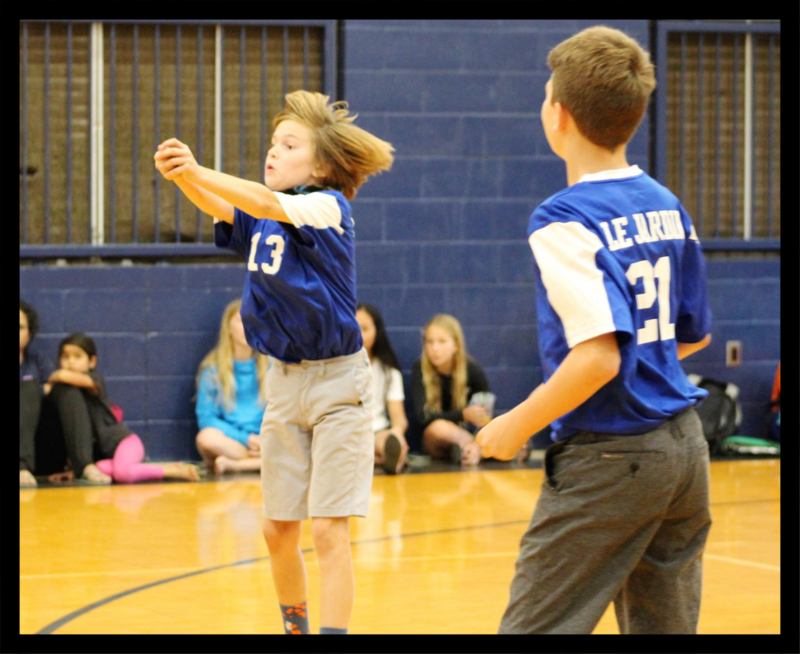 CSAL boys volleyball has begun!